The CIA can turn your TV into a listening device, bypass popular encryption apps, and possibly control your car, according to a trove of documents published by WikiLeaks Tuesday which it said came from the US spy agency. WikiLeaks said the documents show that the Central Intelligence Agency is rivalling the National Security Agency, the US government's main electronic spying body, in cyber warfare, but with less oversight. The group posted nearly 9,000 documents it said came from the CIA, calling it the largest-ever publication of secret intelligence materials. The CIA would neither confirm nor deny the documents were genuine, or comment on their content. WikiLeaks claimed that a vast trove of CIA documents representing "the majority of its hacking arsenal" had been leaked within the cyber security community -- and that it had received, and released, a part of them. "This extraordinary collection, which amounts to more than several hundred million lines of code, gives its possessor the entire hacking capacity of the CIA," it said. "The archive appears to have been circulated among former US government hackers and contractors in an unauthorized manner, one of whom has provided WikiLeaks with portions of the archive." WikiLeaks said the documents show the CIA has produced more than 1,000 malware systems -- viruses, trojans, and other software that can infiltrate and take control of target electronics. The agency has also examined hacking into the electronic control systems on cars and trucks, potentially making it able to control them. By infecting smartphones, WikiLeaks said, the CIA can get around the encryption technologies of popular apps like WhatsApp, Signal, Telegram, Weibo, and Confide by collecting communications before they are encrypted. "Many of the vulnerabilities used in the CIA's cyber arsenal are pervasive and some may already have been found by rival intelligence agencies or cyber criminals," WikiLeaks said. 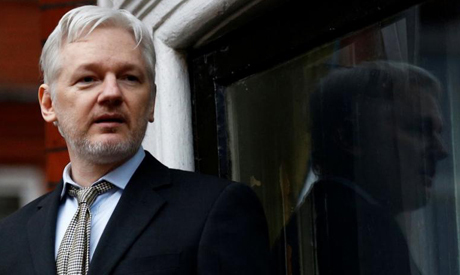 In a statement, WikiLeaks founder and chief editor Julian Assange said that the documents show the "extreme risk" of the uncontrolled spread of cyber weapons. "Comparisons can be drawn between the uncontrolled proliferation of such 'weapons', which results from the inability to contain them combined with their high market value, and the global arms trade," he said.